Q. Where can I find the DOI of the articles I am researching on EBSCO host? 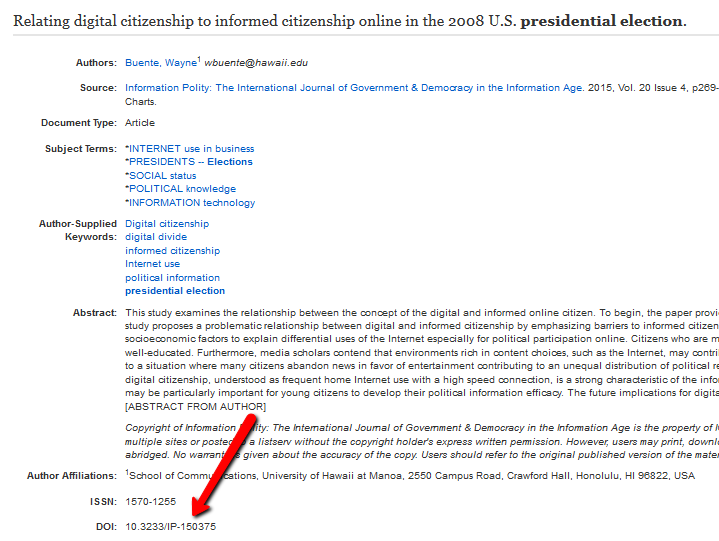 In EBSCOhost, the DOI appears in the result list. It also appears in the full record view. But not all journals provide DOIs for their articles. Here's an example of one that doesn't have a DOI.